Hey folks, Valkor here to take another shot at debunking, disproving, or just outright saying "It ain't gonna happen" when it comes to Sega rumors. Last round I put down a big Dreamcast 2 rumor that was going nowhere fast, plus it was carried over from rumors past –we're talkin 2004 and here it is 2010 with the same rumor! In this round, we're gonna take a look at rumors from around the net, so this should be a lot of fun. Let's put down a few rumors! RingEdge/RingWide is/will be a new Sega console – False! Not to say that the two hardware systems don't exist, however they are not basis for a new console, rather the two are different types of hardware for arcades in Japan, which are still going strong. Why am I delving into this rumor? because there are still sites that are touting this as rumor (sorry, I'm not linking them here. Google is your friend, my friends). This video confirms a Dreamcast 2 is in the works - *Buzzz! * Wrong! I'm calling BS on this one and we can also put this to rest as 10/10/10 has passed with no major announcement. Second, the video looks too cheap to be believed, third, there is absolutely no chatter whatsoever! A lot of clicking from something, but with a huge audince cheering at the end, you would think there would be some "ooohhh's" and "aaahhhhhs" betwixt each feature revelation, and third let's talk about the audience - no cheering at the beginning of this thing? Plus at the end the whol echeering sounds like an audio file - it instantly starts, no lead, no Wooo!! No nothing! Sorry it ain't true. Oh and if you go to the website (dreamcast2010.com), it'll redirect to a forum. This one is put to bed. Sega is working with Imagination Technologies – We've already debunked that Dreamcast 2 Rumor. 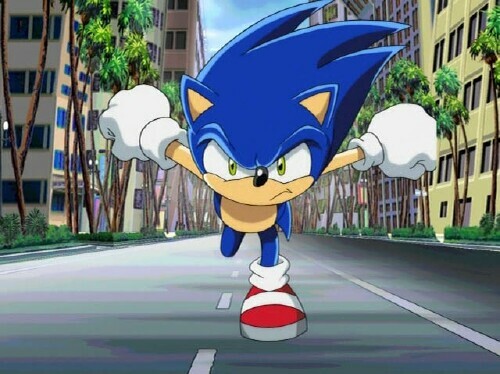 An Apple backed Dreamcast 2 would save Sega – This is mere speculation from my buddy over at 2D-X with his thoughts of a Dreamcast 2, and with good reason too – he's just as big a Sega fanboy as I am. But I don't believe Apple could save Sega. Apple knows how to market, that's for sure, especially if they can get folks to buy the same product over… and over… and over again. I.e. Oh hey have the iPod! Now we have the iPod mini, which is the same as an iPod… but smaller… Oh! Now we have the Nano! Same as an iPod, but will fit discretely anywhere. Wanna be more discreet? Get your shuffle! And so on and so on and so on. But the one thing Apple can't do very well is "spin" (you iPhones 4 users know this all too well). Sega has crazy taint all over them from their past mistakes, and I don't know if Apple can help fix that. Then again, we're dealing with a different generation here; a generation who mostly know Sega as a software maker and are not really familiar with what they've done in the hardware sect. lastly I think Apple and Sega would clash over content of digital downloads. 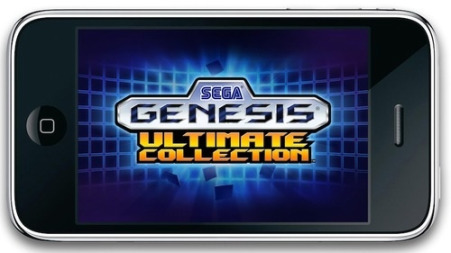 Apple says no to mature apps, while Sega is all about a mature audience (as well as family oriented works). So there would definitely be some headbutting in that area. That's my two cents about that. Sega has applied to trademark the name "Dreamcast" and now there's speculation of a Dreamcast 2 – Just because a company trademarks a name doesn't mean they're gonna use it for the exact purpose you might think. Dreamcast titles are about to get a resurgence in the digital download universe and its more than likely that Sega wants to trademark the name so they can continue to release DC games under the moniker as opposed to calling them something like "Sega Classics". So hanging on to the name would be quite beneficial in recognition of their download titles from here until they get em all out there. Sega has a new console out in the UK – well… not exactly! 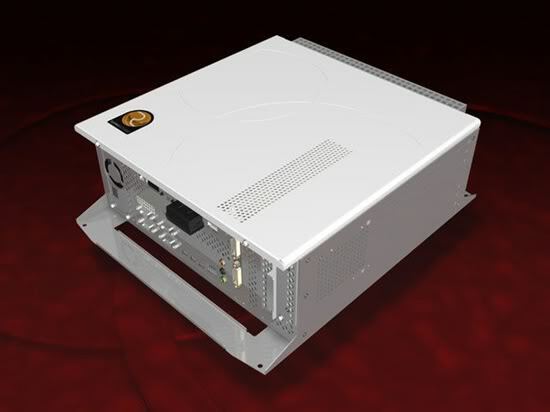 The system being touted in the UK is a classic gaming system, something like the ones that sell here in the US from makers like Hyperlink and their RetroGen systems. It's essentially a plug and play console pre-loaded with 50 games. (I believe the Retrogen has about 20) and you can't add any new games, you'll need the original cart to play them. I am, quite possibly, one of Sega's biggest supporters when they were in the hardware biz and I enjoyed all of their systems (excluding the 32X… wasn't sure where they were going with that one). And I'd like to believe that someday they will return to the market with a new console. But all this rumor and speculation isn't helping much. But there's something positive to say about all this - interest in Sega has increased tenfold since the days when they left the console market. It's just a shame that everyone realizes NOW just how good they really were. So I hope the folks at Sega are listening, because the interest is there to at least investigate just a bit further as to whether or not to release a new console. My quick thoughts: Do it! Nintendo has no one to compete with. Sony and Microsoft are butting heads and the Wii stands alone – and it's inferior to them both! Why is it successful? Innovation of motion control and it's a casual gaming machine, something Sega rocked at (casual gaming, not motion control)! So this would definitely be the route to consider. As my buddy Jay said in his article "We can dream".